When a bacterial population that was susceptible to a given antibiotic gives rise to a member that is resistant to the antibiotic, the best-understood mechanisms are those that are heritable by that cell’s progeny. 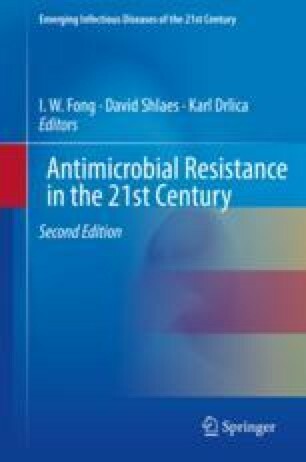 Less well understood is nonheritable antibiotic resistance—resistance that is neither permanent in a given bacterium nor passed to its progeny. Nonheritable resistance is also called phenotypic tolerance. This chapter distinguishes two classes of phenotypic tolerance—one that can potentially be overcome by using several antibiotics in combination and another that requires finding new antibiotics that can kill bacteria in non-replicating states. Such states are often imposed by conditions in the host that constrain the bacteria without eliminating them, including host immunity and antibiotics themselves. This chapter reproduces, adapts, and updates portions of a wider-ranging essay, “Fundamental Immunodeficiency and Its Correction” by C. Nathan, published in the Journal of Experimental Medicine 214: 2175-2191, 2017. Passages from that publication are reproduced here with permission of The Rockefeller University Press. I am grateful to K. Burns-Huang, B. Gold, K. Rhee, K. Saito, and T. Warrier (Weill Cornell Medicine) for critical comments. I am thankful for the support of the Tri-Institutional TB Research Unit (NIH U19 AI111143) and the Milstein Program in Chemical Biology and Translational Medicine. The Department of Microbiology and Immunology is supported by the William Randolph Hearst Charitable Trust.